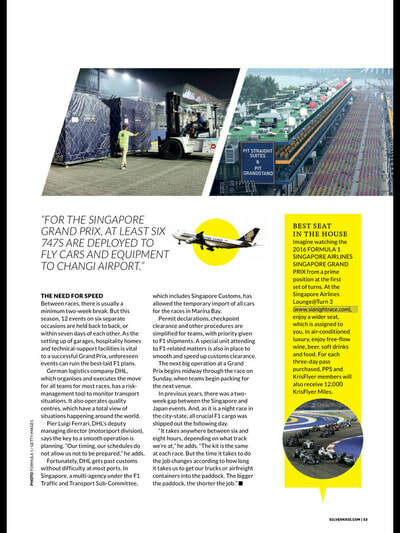 Have you ever wondered how you move a Formula One team around the world, going from one Grand Prix city to another? 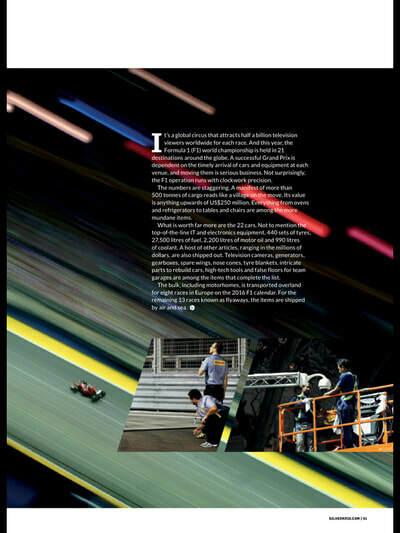 Cars, equipment and people criss-crossing the globe is the side of Formula One most people don’t get to see. 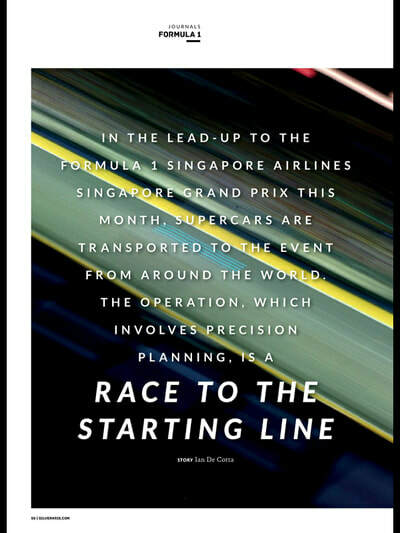 But just like everything else in Formula One it’s an operation that requires precision and planning. 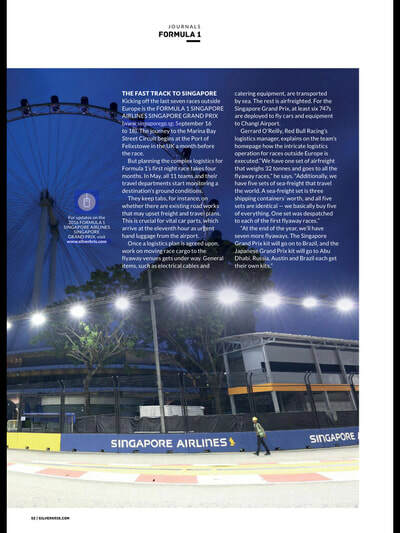 We found this article in Singapore Airlines SilverKris Magazine. Read on for a fascinating insight into how Formula One keeps the show on the road.